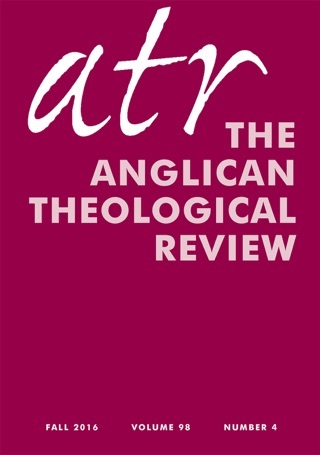 The Anglican Theological Review is a quarterly journal of theological reflection within the Episcopal Church USA and the Anglican Church of Canada. 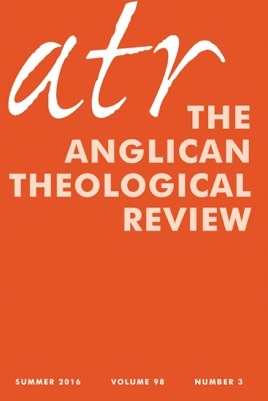 In the spirit of sound learning that has been a hallmark of Anglicanism worldwide, its aim is to foster scholarly excellence and thoughtful conversation in and for the church. The journal is committed to creative intellectual engagement with Christian tradition and interdisciplinary inquiry that includes literature and the arts, philosophy, and science. The Summer 2016 issue features essays, poetry, and book reviews by a wide variety of authors focusing on diverse topics of concern in the church and world today. The Articles section opens with an essay by Jeania Ree V. Moore, who writes of African American quilting as a practice that “indicates the power of the margin,” as artists tell their communal stories and their luminous experience of God through the work of the hands. Shawn Strout explores the practice of baptism and eucharist in the Gospel of Mark, and what we can discern there about the increasingly popular practice of the Open Table. Jason M. Smith then presents a clear-thinking and helpful study of the immanent Trinity in the work of Schleiermacher and Rowan Williams. Finally, in her winning Charles Hefling Student Essay, Sarah Miller discusses Austin Farrer’s visionary theology in light of the revelatory aspects of poetry. Ellen K. Wondra offers the Practicing Theology essay in the Summer 2016 issue, focusing on thorny questions of authority in light of the recent primates’ resolution against members of the Episcopal Church participating in certain aspects of the life of the Anglican Communion. Wondra argues that moral authority is more important than formal authority, and is most powerful where it is incarnate, personal, and communal. 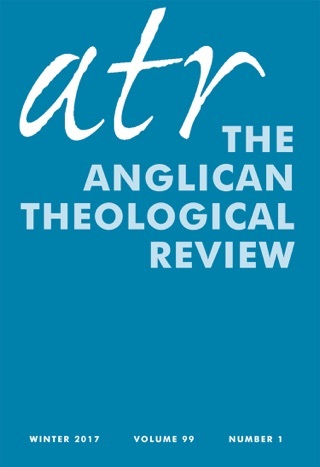 As is the ATR’s practice, the Poetry section is expanded for the summer season, and the issue concludes with book reviews of the latest noteworthy books in the fields of theology and ethics, pastoral theology, historical theology, biblical studies, religion and culture, interreligious studies, poetry, and liturgics.